Our newly developed Construction Services division offers a wide variety of services to the construction industry. 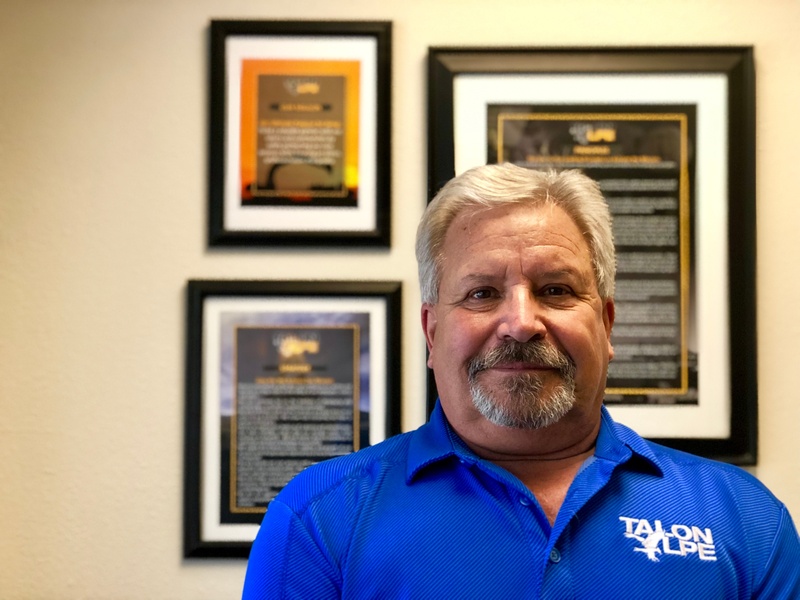 An expert in the industry and a leader in his field, Gary Harris works hard to go above and beyond his client’s expectations. That’s why he’s been chosen for this month’s Employee Spotlight! 1. What is your favorite thing about working for Talon/LPE? My favorite thing about working at Talon/LPE is that no day is the same as the last. When working here, you have to be able to adjust to different situations daily. This is one of my favorite things about working at Talon/LPE, as everyone here is totally capable of doing this. The joy of not knowing what tomorrow brings always makes coming to work a little more enjoyable. 2. What brought you to Talon/LPE? I worked as a subcontractor for Talon/LPE on several projects in early 2000. This is when I got to know many of the Talon/LPE employees and I really liked their work ethic and values. With that being said, when an opening came along, I jumped at the opportunity to work at Talon/LPE. 3. Out of our ten principles, which one do you value most? Why? Honesty. I found that this principle meant more to my clients than anything else I could do for them. They knew that when they asked me a question they were always going to get truthful answers in return. When a client spends so much of their time and resources on a project, they deserve someone to be honest with them. 4. What do you like most about your team? 5. What has been your proudest moment while working at Talon/LPE? My proudest moment is currently taking place. As head of the Construction Services division, I am able to work with many departments and develop this specific service area into it’s own. I love spending time with a new grandson, attempting to play golf, scuba diving, fossil hunting and going to the firing range. 7. Anything else we didn’t ask, but you’d like to tell us about? I have been married to Terri for 39 ½ years, (she is up for saint-hood), and I have two daughters, and four grandkids. They are all the joy of my life. Think you have what it takes to join Gary and the rest of the Talon/LPE team? Apply below!